Christine’s interest in running began in her early twenties when a friend suggested they take part in a local 10K fun run, although she has had a keen interest in all aspects of keeping fit and healthy throughout her adult life. Christine joined a local running club and took part in many races including 5K, 10K and half Marathon distances before completing the London Marathon in 2005. Following the Marathon, she continued with 10K and half marathon distances however was slowed down over the years due to a lower back issue. 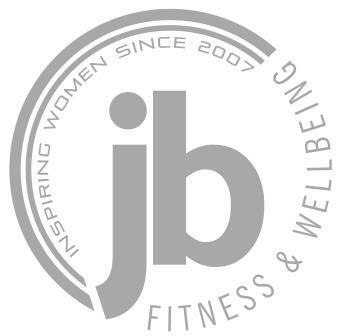 In 2012 Christine had major back surgery so was unable to run for a while, although once back on her feet she attended personal training sessions with Julie and the JB classes to build her strength and get moving again. Christine used the January 2015 Couch to 5K course to get back on the road and, keen to pass her running knowledge on to others, completed the England Athletics Leadership in Running Fitness course. Having excelled as a Senior Running Group Leader leading our Couch to 5K courses, Christine gained her Level 2 Fitness Instructor qualification in 2016 and began regularly instructing many of our popular group fitness classes. She has since qualified as a Level 3 Personal Trainer and trains clients one-to-one from our Royal Wootton Bassett studio. She is a member of the Register of Exercise Professionals and is First Aid trained.